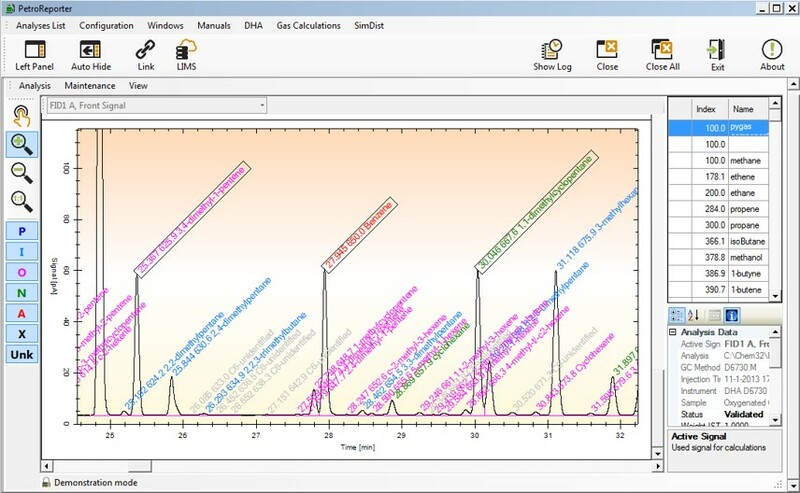 Detailed Hydrocarbon Analysis (DHA) is a gas chromatography (GC) technique used to determine individual hydrocarbon components in light petroleum streams such as naphtha, reformate and gasoline. Once identified the individual components are then typically grouped by hydrocarbon type (PIONA: n-Paraffins, Iso-Parafins, Olefins, Naphthenes and Aromatics). 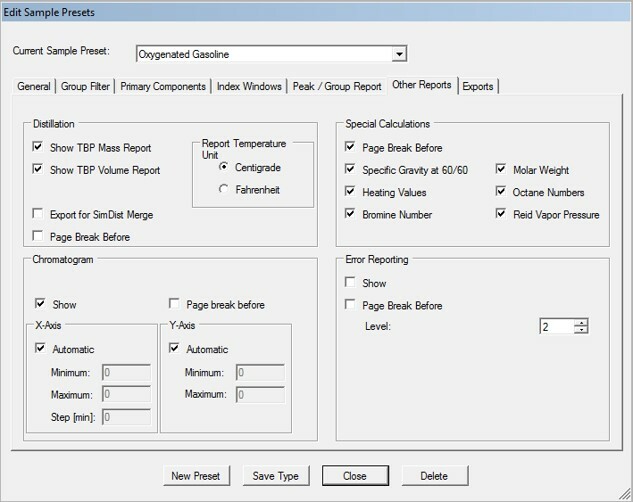 The compositional data is used assist refinery plant managers to optimize their refinery processes, comply with product specifications and meet with environmental regulations. Due to the extremely large number of compounds present, Detailed Hydrocarbon Analysis uses Kovats Retention Indices (RI) for identification of unknowns. 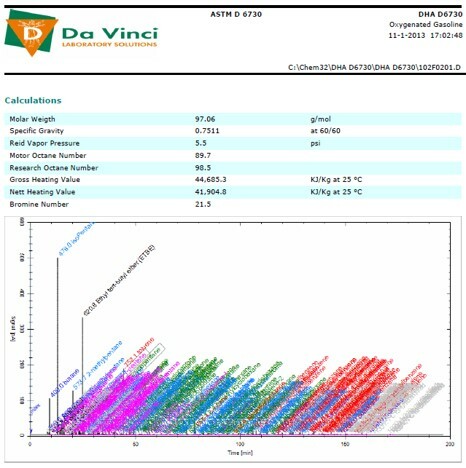 The system is first calibrated using a series of n-alkanes and the RI of unknowns calculated. 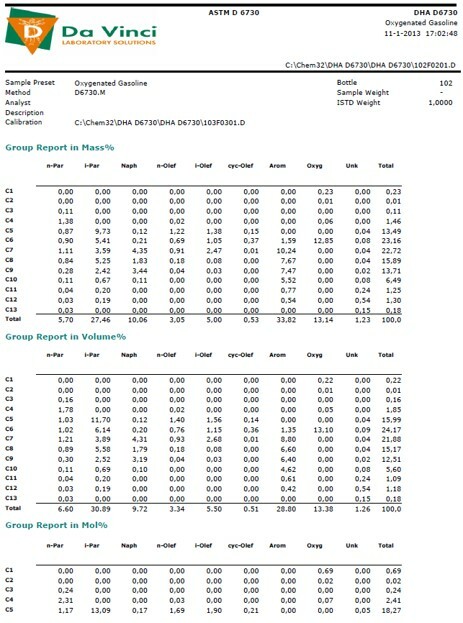 These values are then compared to an extensive database for identification.